Time is a flyin'! Way too fast. Plus, I haven't been taking photos of our school activities. I just get too caught up in them. So, let me do a quick recap of Weeks 19 & 20, all while we're finishing up Week 22. I still can't keep up. We're still in Africa and specifically, Kenya. Though, I've been trying to add on some additional countries and studying them a bit more. I feel like we're glazing over things or spending too much time on some things. I'm subtracting and adding to the curriculum so much, that I've decided to just make up my own curriculum again next year (by piecing my own stuff together). It's the teacher in me. 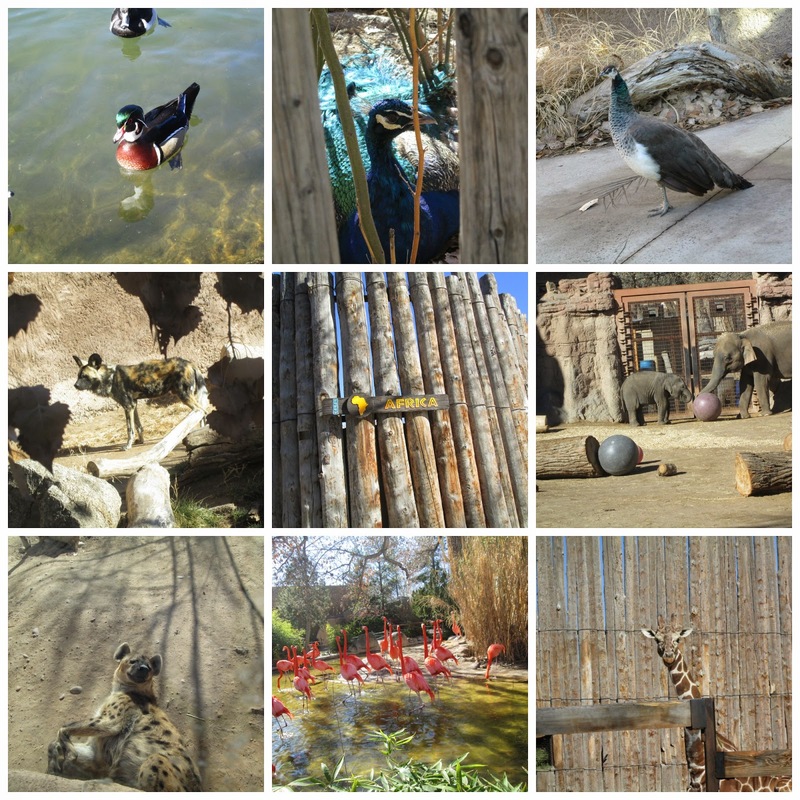 We had a field trip to the zoo this week to see African Animals. 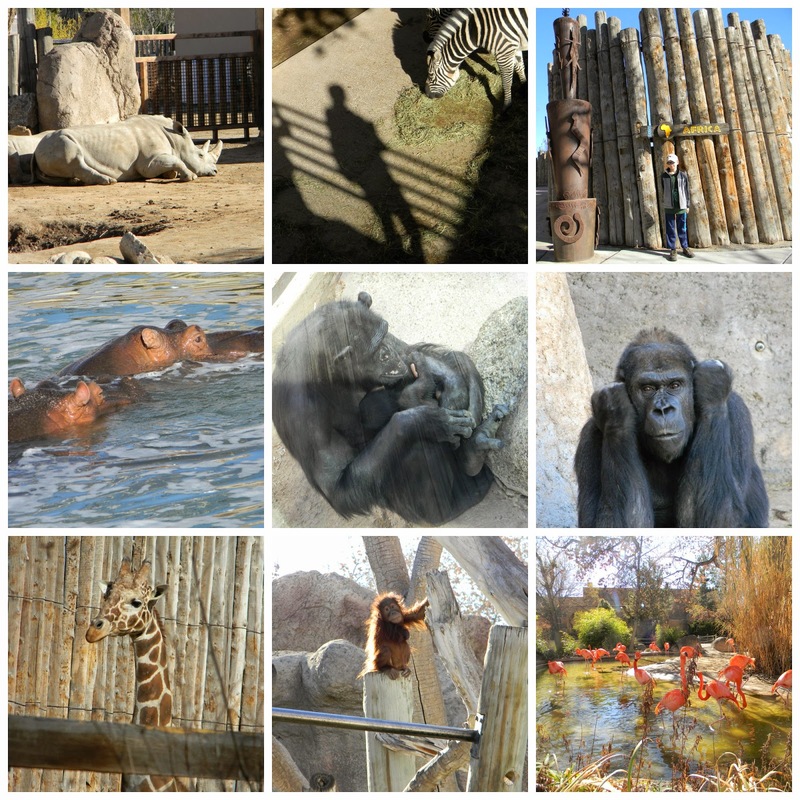 I had the kids take photos of African animals (and they added some non-African ones). We had lessons on focusing and composition with photography. The kids each took nearly 200 photos. You gotta love digital cameras! We skipped art. Actually, the girl did some stuff out of the Global Art book, while the boy practiced his guitar. Good enough. Our weekly viewing included Planet Earth: Grassy Plains and Magic School Bus: Spins a Web. Kenya, again. We had 2 pages to read on Egypt, but we added a bit more in. We even built the Great Pyramid of Giza out of Nanoblocks. The Nanoblocks are always a highlight. 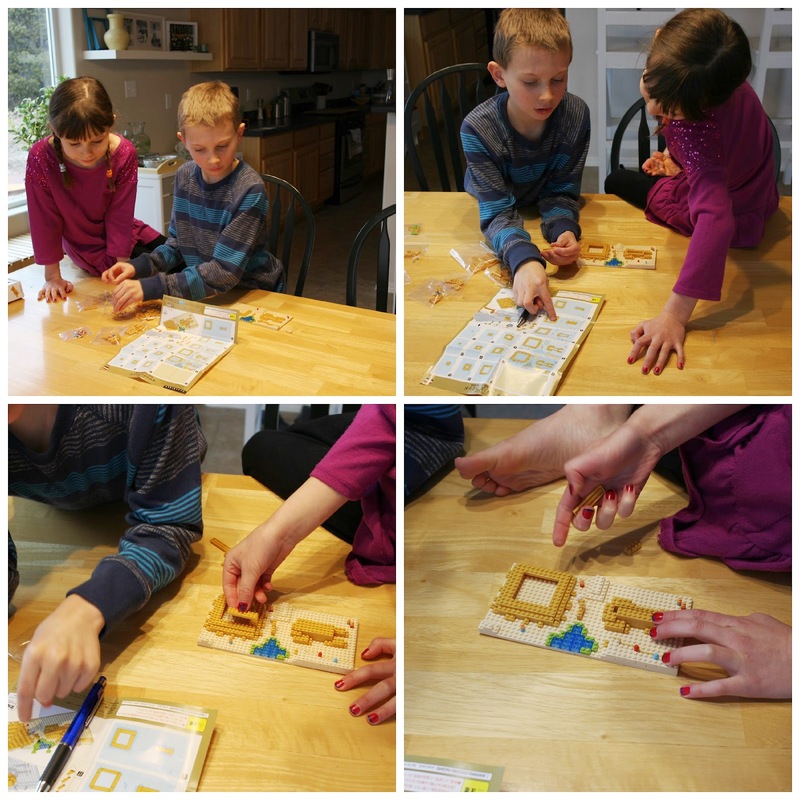 The kids are getting much better at building with Nanoblocks! They can be kind of frustrating the first few times, until you get use to how the directions are written and how small the pieces are. 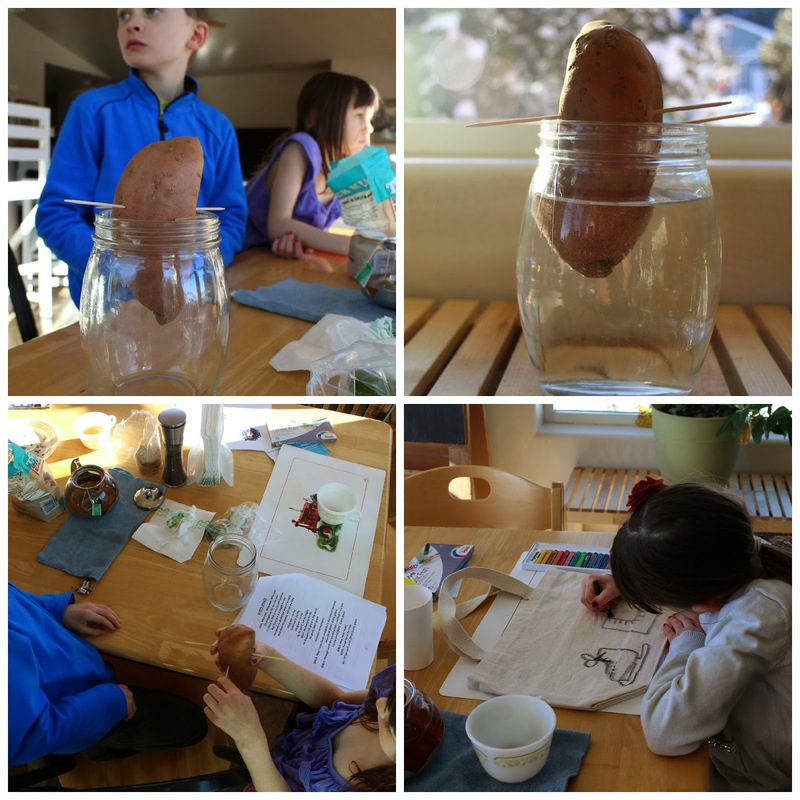 We did a sweet potato activity. Ummm....it's beginning to look like a fail, as of right now. Let's just say...this former science teacher is not real happy with the science this year. I should be adding on more things, because the kids really like science. And one little activity a week is not cutting it. There is plenty of reading, but it's not engaging enough for my kids. Yes, I'm a tough cookie when it comes to science curriculum. If only I had more time to write my own! Art this week was suppose to be tye dying. Scooter wasn't real excited about it, but Chewy was. Instead, I bought fabric crayons and the girl decorated a canvas bag. She now uses the bag to hold her script for the musical that she is in at church. Our extra viewing included two Magic School Bus episodes: Gets Lost in Space and Out of this World. Oh, we also had some snow. The public school kids have had at least 4 snow days. Mine...Zero. 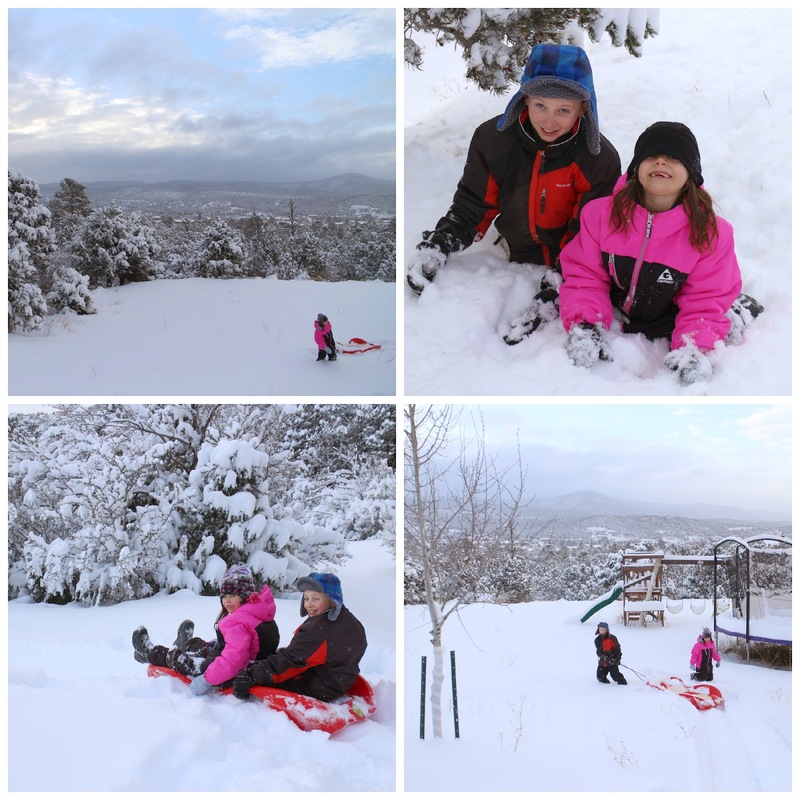 They get a couple hours to play in the snow, but then we do school work. I just tell them we're banking days so we can take our trips. We still have to get our 180 days in, regardless of snow. How's your year shaping up? Hard to believe it's already February! In other news, I'm way ahead on my Valentine card collage this year. I just need to actually get them in the mail, which means a trip to the post office. So they might not make it in time, because I won't be getting to the post office until Tuesday. Maybe, maybe, they'll make it in time. Watch for your card, grandparents! !